Start-ups to the left, consultancy giants to the right, here the channel is, stuck in the middle attempting to add value. For 2017 will be remembered as the year when new partners emerged, entering without warning, without legacy and without tradition. Across the entire technology spectrum, competition is rife, creating a recalibration of the supply chain and head-on collisions with market incumbents. In attempting to eat the breakfast, lunch and dinner of the channel, many startled providers have failed to heed the warning signs, losing customer battles to innovative new entrants. Amid the frenzy however, some savvy partners are winning the war, recognising the need for reinvention to remain relevant. Previously, a business of AC3’s credentials would adopt a more holistic approach to a customer account, providing a whole portfolio of services spanning multiple technologies and solutions. Today however, and in reflection of a crowded market, Xistouris acknowledged that new players are attacking end-to-end agreements through specialised offerings. “We can’t pretend to be everything to everybody but for the areas that we’re invested in, we must be on the top of our game to stay relevant, engaged and have a point of difference with our customers,” Xistouris said. 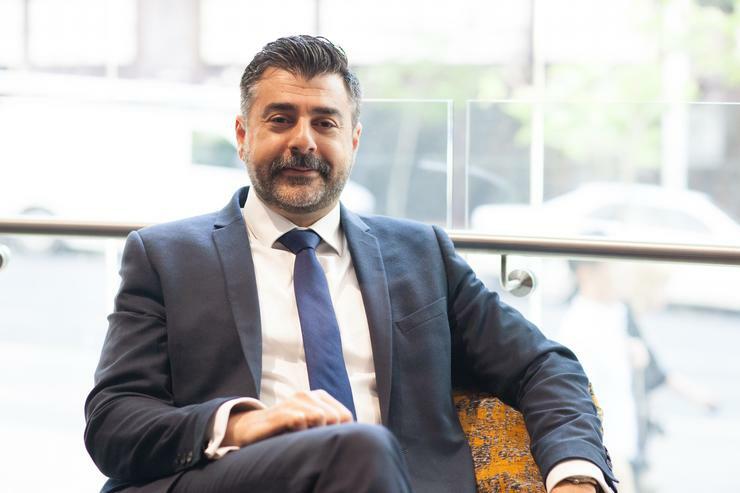 The Sydney-based managed service provider (MSP) is not alone in fending off eager and enthusiastic start-ups however, with the ankle-biters branching out into all areas of the industry, taking customer cheque books along for the ride. Yet problems don’t stop there for long-serving market leaders, with the big four consultancy firms now towering over the technology space, casting a long shadow over the channel in the process. Whether it be Deloitte, EY, KPMG or PwC, the skyscraper strategists are taking a strangle hold on customer technology spend, providing services now ranging from advice to implementation. “The large consulting and advisory firms are moving down into the space of the market that we usually operate in,” Xistouris said. Since 2015 alone, Australian partners such as Cloud Solutions Group, Strut Digital, Nesoi, Plenary Networks, Sixtree, The Monkeys and Maud, Cinder Agency, Qubit Consulting, Dataweave, Open Windows and JKVine have been gobbled up by the accounting giants, creating ripples across the channel. “Some of the big four have gone in full steam and do it all themselves,” Xistouris said. “But others have decided to pursue the advisory piece and bring in a partner to carry out the implementation work, which is a good fit for our business. “We’re seeing a lot of competition but we’re also forming partnerships as well, particularly with some of the large consultancy firms. “They start with the stakeholders at the top of the food chain such as the CEO and CTO, which is the perfect partnership as we usually top out at the CIO, which allows us to dovetail our work in seamlessly. With new market competitors surfacing during the past 12-24 months, part of AC3’s earlier commitment to staying relevant was demonstrated when the business pivoted towards as-a-service. “When we acquired AC3, this was the defining moment because before then, we were a pure systems integrator that carried out some managed services but we were just starting out,” added Xistouris, referring to the acquisition of AC3 by Klikon Solutions in December 2013. Following the deal, Klikon dropped its name of 17 years to rebrand as AC3, reflecting a shift in approach for the business. Four years on from the acquisition, the services space has evolved considerably, as customers continue to demand more for less.